Enya M, Agatha S, Monica P, Kartik K.
Problem: The Napa and Sonoma Fire has negatively affected the environment. Service Project: They cleared dead brush to help decomposition and speed up the recovery of the forest. Problem: Heavy metals in architecture, pesticides, and trash flows into the runoff and into the aquatic and lowland ecosystem. This causes diseases in plants and animals, such as stopping photosynthesis, hemophilia, and Alzheimers. Service: They planted tule in Tule Ponds which filter the . heavy metals and break it down to usable materials which help fragile plants sustain themselves. Problem: An invasive species, French broom, is endangering native plants in the Bay Area. 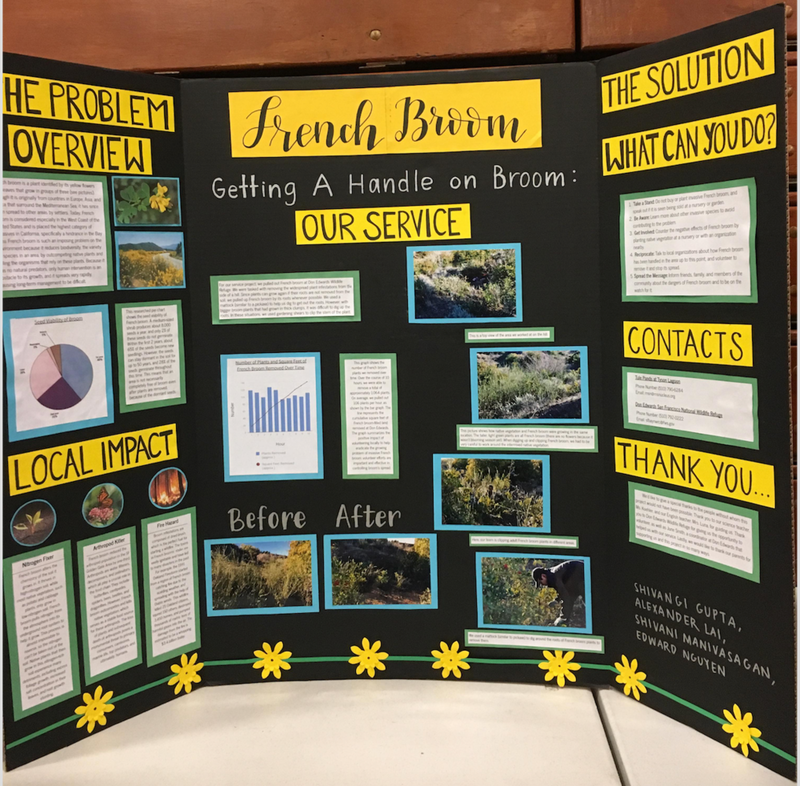 Service Project: The group removed French broom from Don Edwards Wildlife Refuge. Problem: The native butterfly population is experiencing a rapid decline. 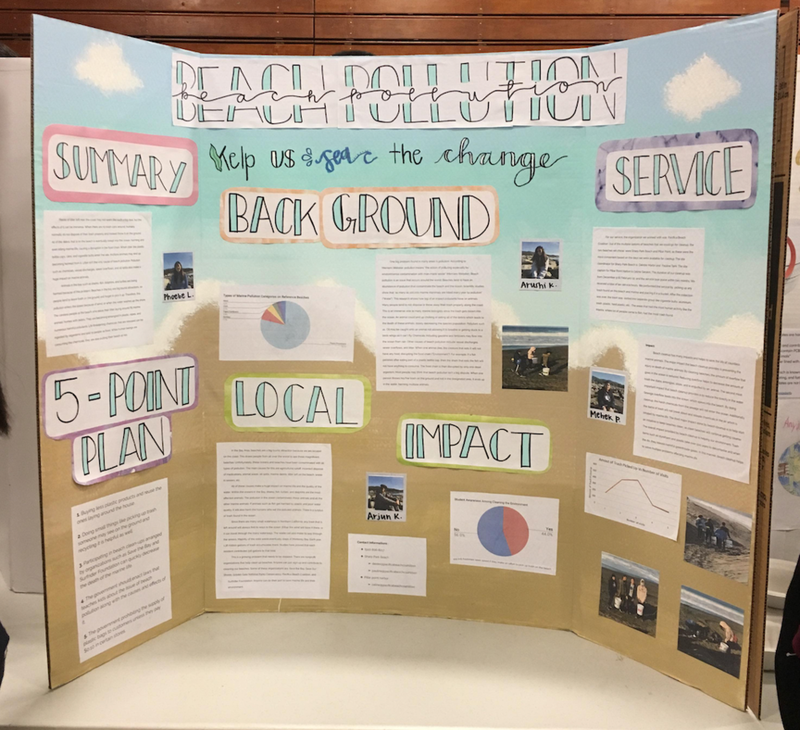 Problem: Pollution at beaches causes harm to local wildlife. Service Project: They picked up trash at the beach with the Pacifica Beach Coalition. 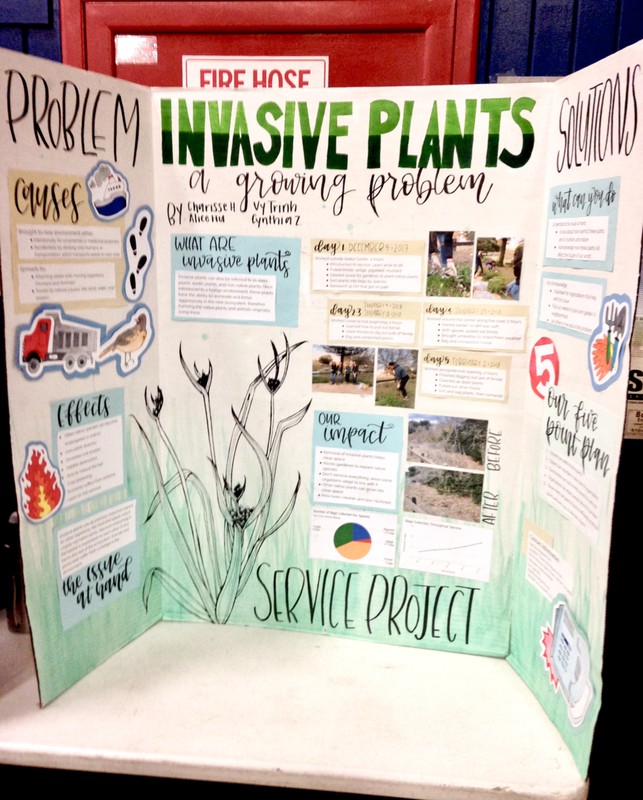 Problem: Invasive species are brought to new environments by human transportation or for ornamental and medicinal purposes. They cause native species to become extinct, decreasing plant diversity and increasing soil erosion. Service: They pulled thistle, sedge, pigweed, mustard, fennel at Coyote Hills. This cleared space to plant native species. Problem: The population of Western Pond Turtles has declined because of invasive species, disease, and human activity. Service: They build nesting grounds for the turtles to lay their eggs. 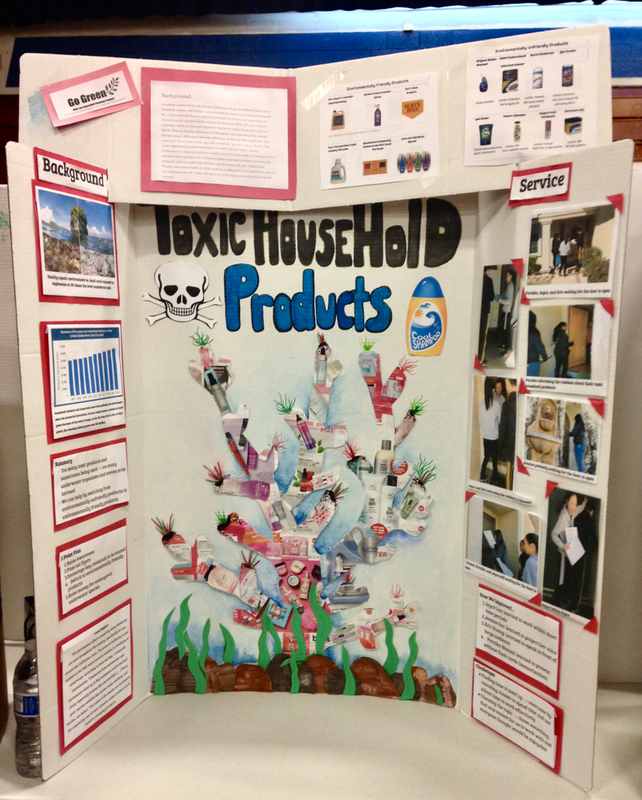 Problem: Toxic household products harms the fish reproductive system and causes male fish to become female. Service: They passed out fliers with a list of harmful household products to avoid and which eco-friendly products to use instead. They collected over 100 pledges to use eco-friendly products. Problem: The runoff that washes into the bay contains pollutants, which harms the aquatic ecosystem. Service: They planted bioswales that filter out polluted runoff. Problem: Many poppies died because of invasive species, urbanization, and drowned from overwatering. Service: They planted poppy seeds at Tule Ponds.